Part 3: Hurricane Ike sent a clear message that the people and vital energy industry of one of America’s largest urban areas needed protection from rising seas. Six years later, the only plan with any traction is a professor’s Dutch-inspired idea – and it has scant political backing. GALVESTON, Texas – When Hurricane Ike hit this city on the Gulf of Mexico, William Merrell found himself trapped in a second-floor apartment as storm waters coursed eight feet deep through the floor below. “I had time to think,” said the professor and chair of marine sciences at Texas A&M University Galveston. One thing he thought about was the Dutch Delta Works, a vast coastal protection system he had seen several years earlier on a trip to the Netherlands. 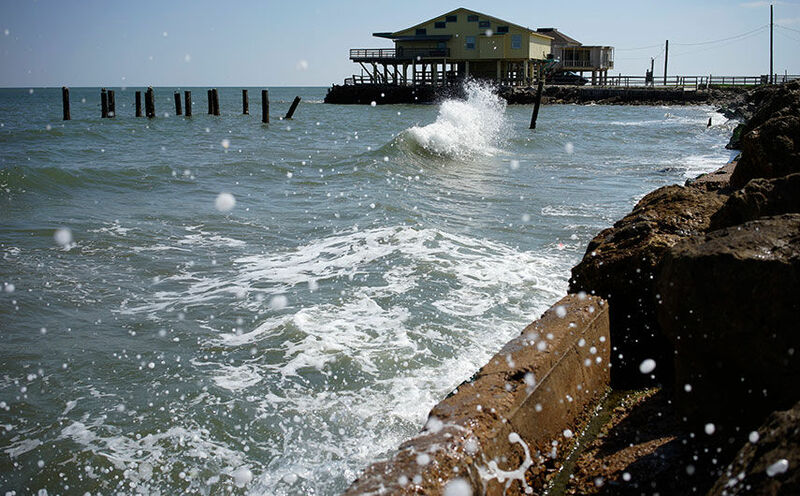 That led to his big idea: build a 60-mile-long, 17-foot-tall dike that would guard against the next hurricane that hits the long, thin barrier island on which Galveston sits. Like its Dutch inspiration, his idea included massive gates that would swing shut as a storm approached, blocking the 1.7-mile-wide entrance to Galveston Bay. The gate would protect low-lying parts of metro Houston, home to hundreds of thousands of people and an oil and petrochemicals complex essential to the U.S. economy. Ike hammered Galveston and its 57,000 inhabitants, funneling a surge of water around an existing seawall and into the bay. Eighty percent of Galveston’s homes were damaged or destroyed, including Merrell’s apartment building. The hurricane killed 112 people in the U.S., including 36 in the Houston-Galveston area alone, and caused nearly $30 billion in damage. The toll left little doubt that something was needed to defend residents and the U.S. economy against the next big storm. Continue reading the Nov. 24, 2014 article by Duff Wilson, Ryan McNeill and Deborah J. Nelson here.